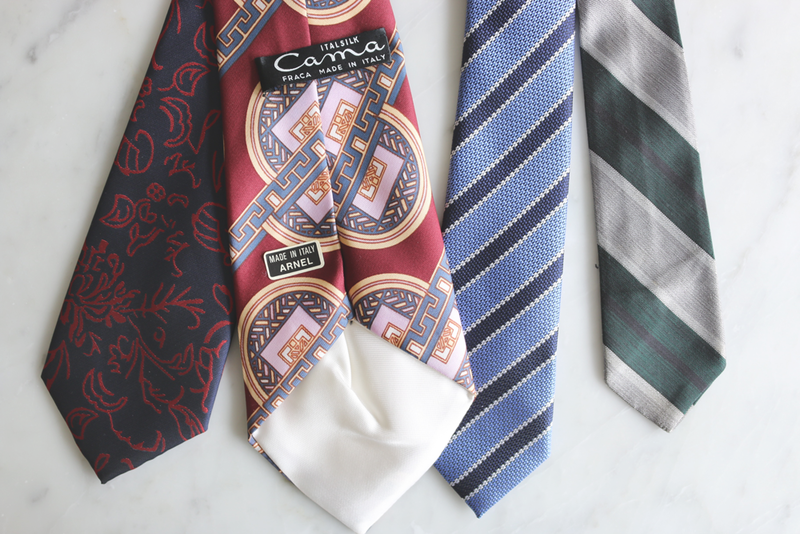 Neck ties are in the food splatter firing line every day and they are never quite the same after dry cleaning. 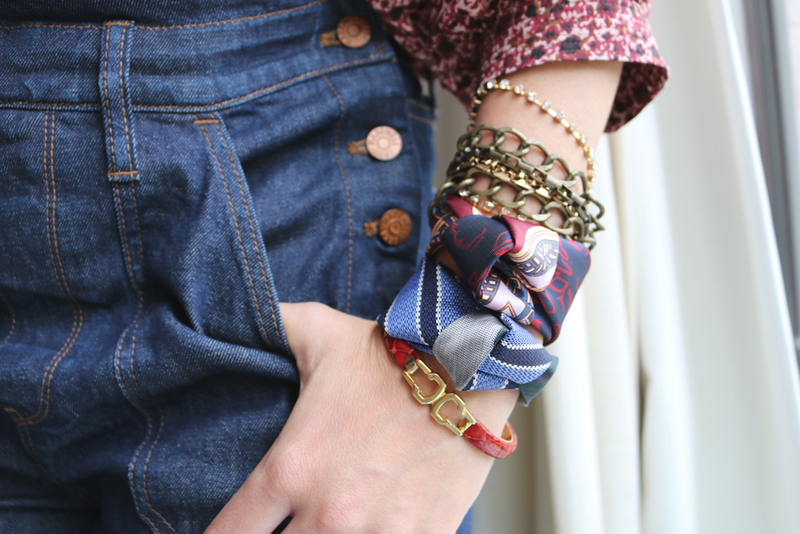 These repurposed silk tie bracelets are right on trend and look gorgeous layered with other jewellery. 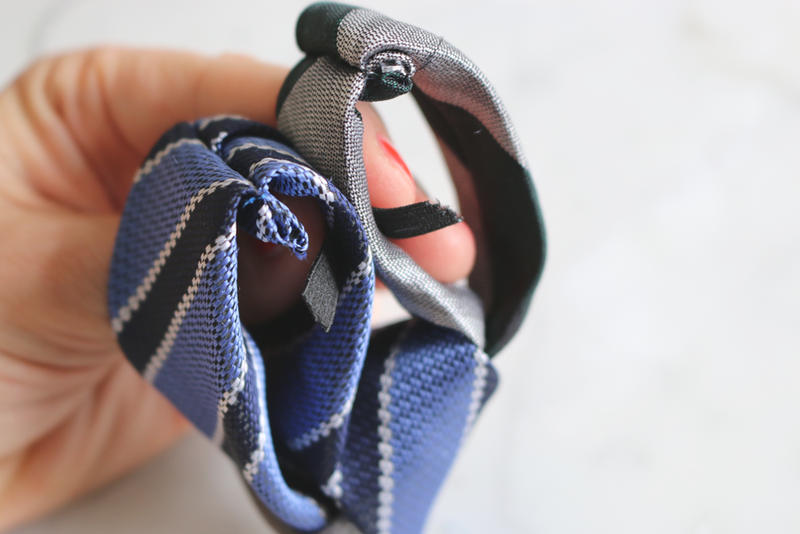 Finally a use for all those beautiful de-commissioned silk ties! 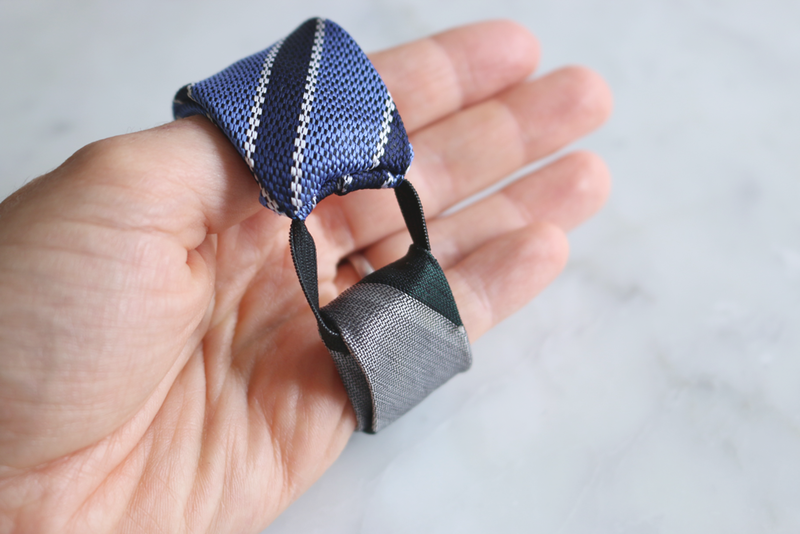 This project makes use of the thin end of the tie that usually stays hidden. 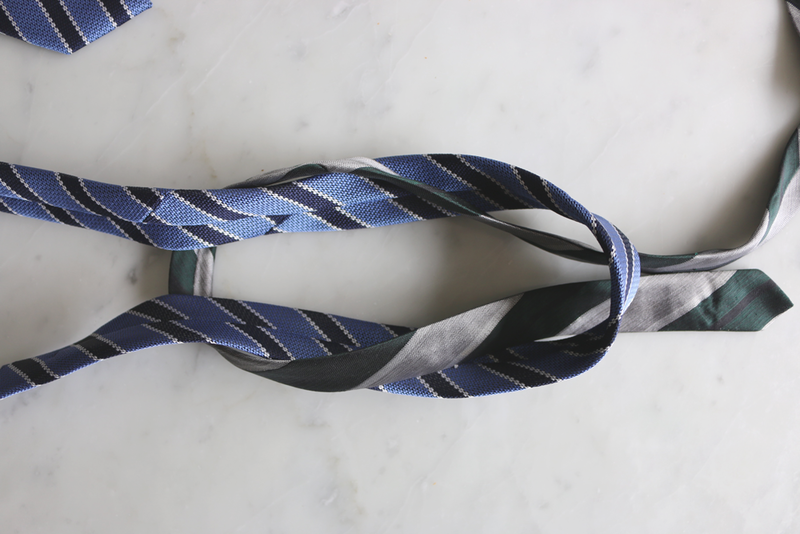 Take two ties and, from the thin end, bend them ¼ of the way up, making two loops. Intertwine the loops. 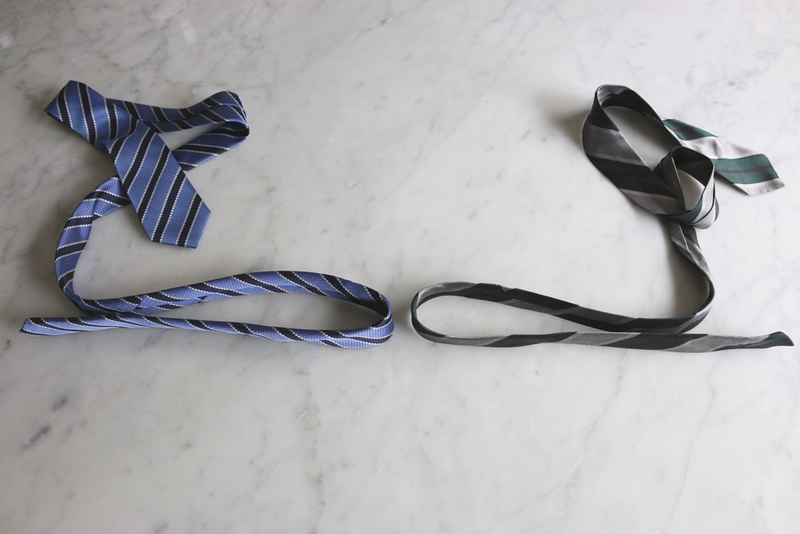 You will need to snake the end of one tie inside, outside and under the other, then outside and inside again so it is back where it started. You are creating what the rope-tying world calls a square knot. 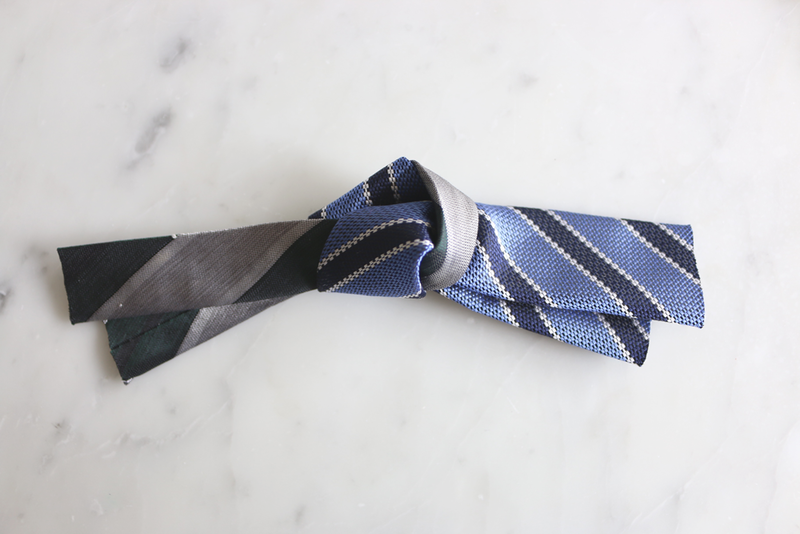 Pull the two ties away from each other and the knot will tighten. Do not over tighten. Measure it around your wrist and pin where it meets. Cut both ties at that spot. You will find that when you lie it flat the top lengths stick out on each side. This is because the top lengths have further to travel around your wrist, being on the outside. Now you need to French seam the ends closed. 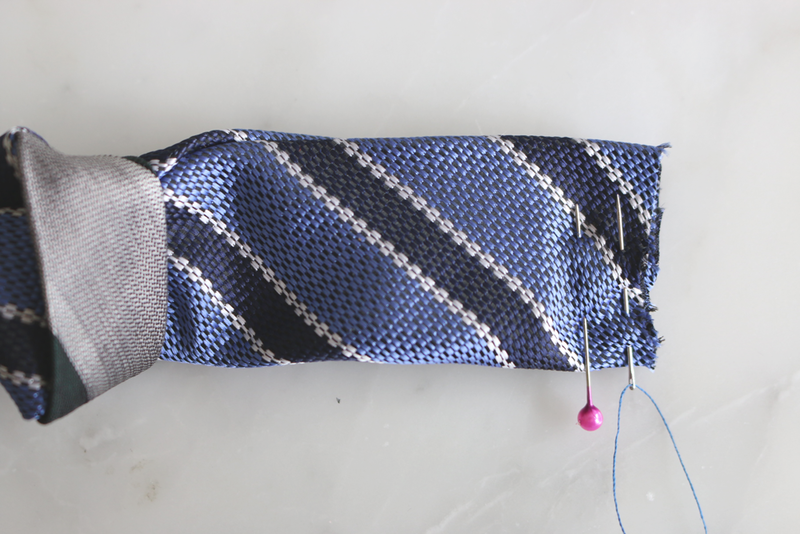 Line the two matching pieces of tie up and sew along the edge. 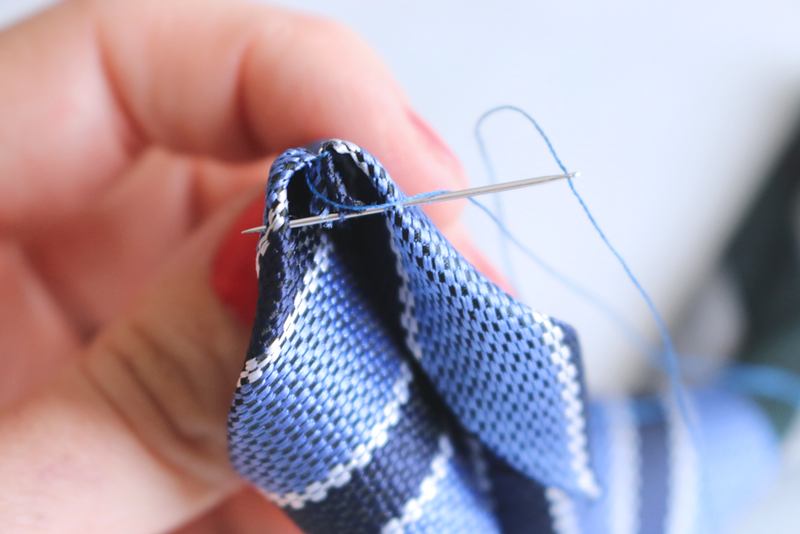 Then turn that seam inside out and stitch a running stitch along to encase and hide the first seam. 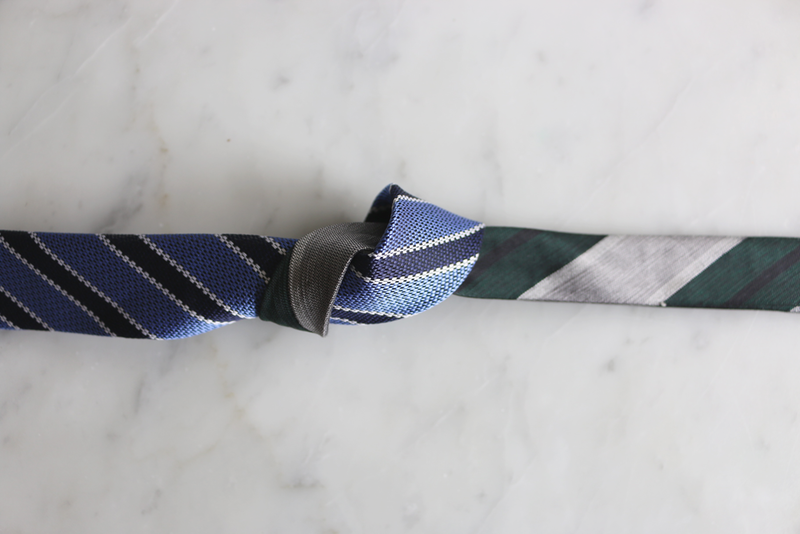 Repeat on the other side for the other tie ends. 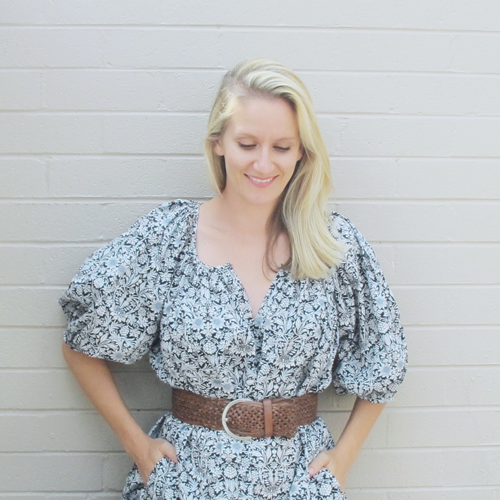 You can do this with a sewing machine or a needle and thread. 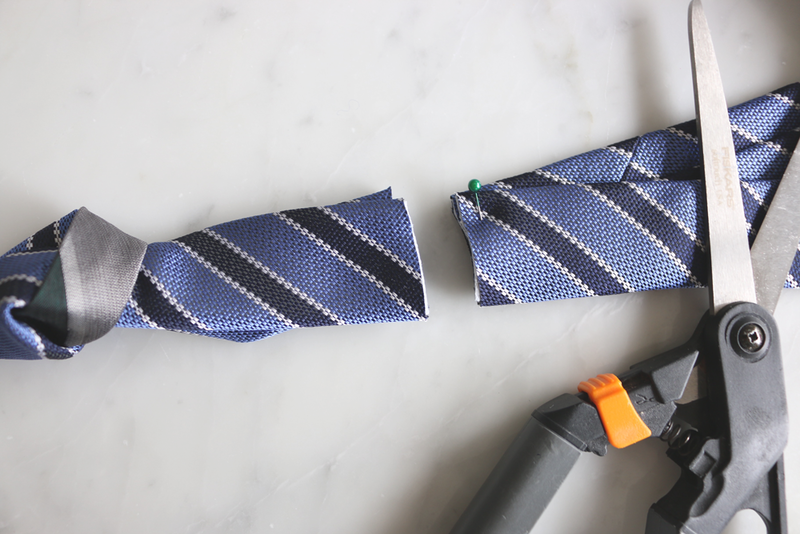 It helps to trim back the old interfacing inside the tie by about 3cms. 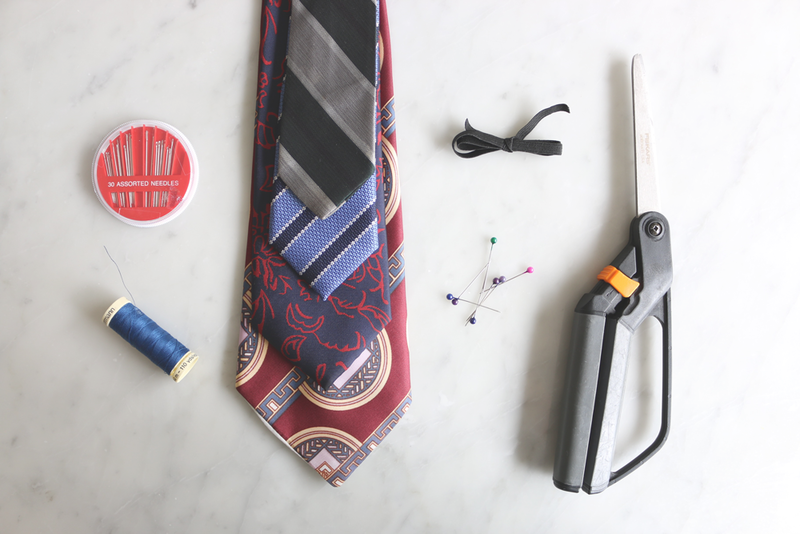 Then it will be less bulky to sew. 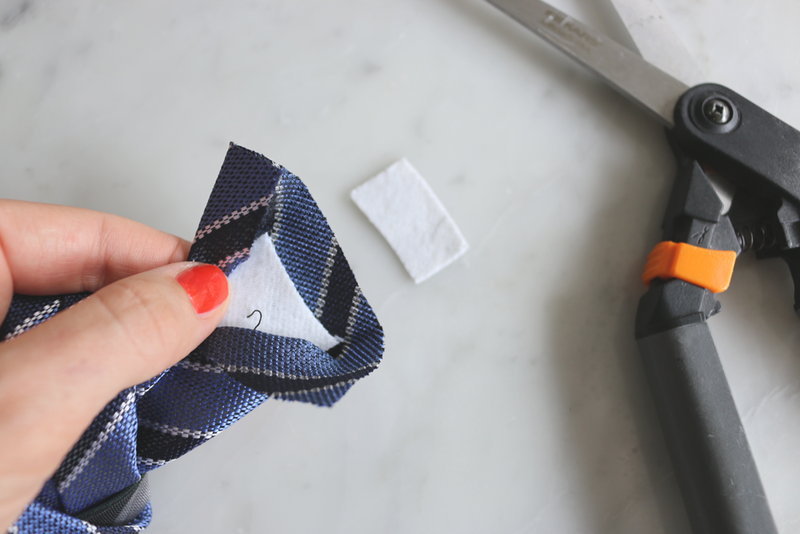 Take your piece of elastic and cut it to a length that is twice the width of the tie fabric. 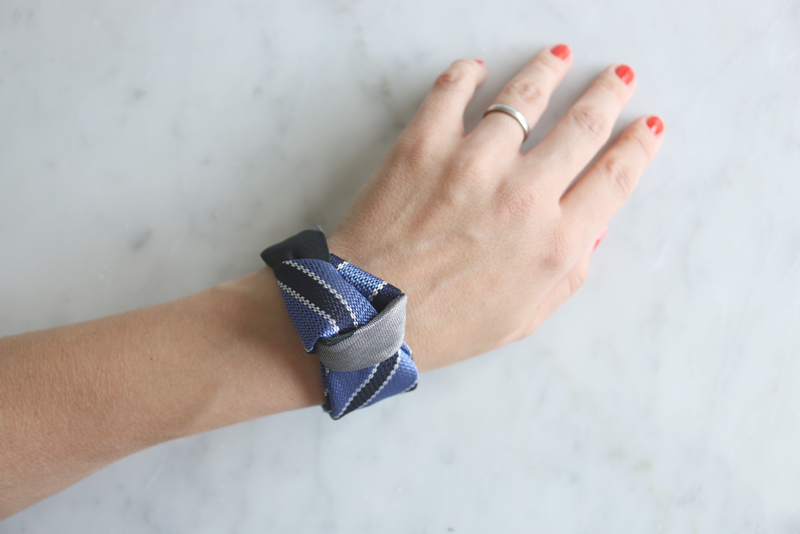 Thread it through both ends of the bracelet and stitch the two ends of the elastic together. 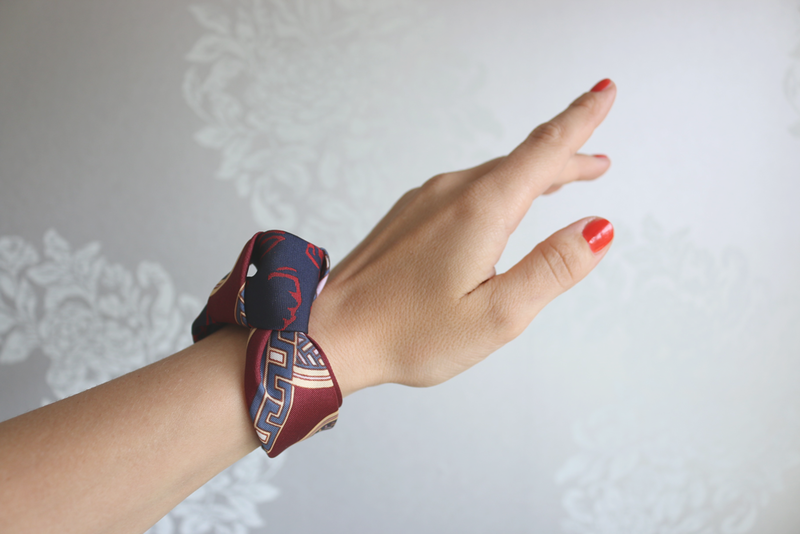 This makes the bracelet a cinch to put on and very comfortable. Make another one, they look great layered.